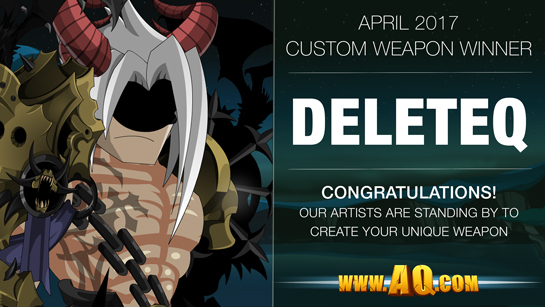 DeleteQ is the winner of our monthly Custom Weapon raffle! Each month, we will choose one winner from among all the accounts that have upgraded (bought membership or AdventureCoins) in the previous month and work with them to create a custom weapon. Good question! Short answer, yes... at least, we will next month! 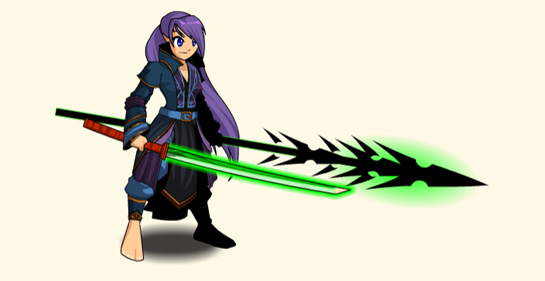 During the first week of June, we'll choose one person from among a list of people who upgrade in May to get their very own custom weapon (with the option of sharing it with up to 10 friends). Keep an eye on the Design Notes to see if this fun surprise will continue after that!